Many vehicle owners keep a set of jumper cables handy in their vehicles, but no one really wants to have to use them. Vehicle batteries and battery charging systems have become so reliable you probably don’t think about your battery at all, until it fails. Over time, batteries simply can’t hold a charge like they could when they were new. Inside a car battery is a host of chemical reactions and acidic solutions that don’t hold up forever. A battery will degrade even under ideal conditions, but things like extreme heat, frequent short trips, or long periods of not driving can make it lose efficiency quicker. If your battery is more than three years old, you might notice that your interior lights or headlights dim while you’re driving and using accessories, or your car doesn’t start up right away. If you had to dig out those jumper cables recently, it is probably time to get a new battery. 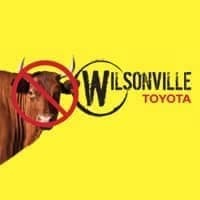 Save yourself the inconvenience that comes from dealing with a dead battery; simply schedule an appointment, and let the experts at Wilsonville Toyota help. We only use Genuine Toyota Parts like the Toyota TrueStartTM and True-2 batteries. Toyota TrueStartTM batteries are the only replacement batteries approved for use in your Toyota while it is under warranty and comes with its own 84-month warranty. Toyota True-2 batteries are a great post-warranty-period alternative and have their own 60-month warranty. Manufactured to Toyota’s strict standards, both battery options will help make sure your vehicle will start under any climate condition. You’ll have the confidence to get out there and leave those jumper cables in the trunk.